Jericho The Lion Is Safe — So Who Died? Cecil's "brother" Jericho is alive and well despite earlier reports that he was killed by hunters, Oxford University announced on Sunday. The university, which had been tracking Cecil through its Wildlife Conservation Research Unit, confirmed that Jericho was safe and posted a picture of him taken early Sunday morning. Initial reports had surfaced on Saturday that Jericho had been killed after the Zimbabwe Conservation Task Force posted news of his death. The group posted an update on Sunday announcing that it had been a case of mistaken identity and that Jericho was alive while another, unnamed lion had been killed. 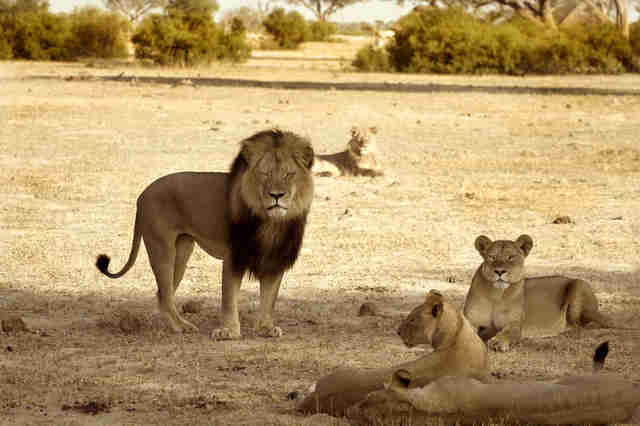 While Jericho isn't Cecil's blood relation, the two lions were co-leaders of a coalition pride before Cecil died. And despite initial fears that Cecil's cubs would be killed once a new lion took over, it appears that Jericho has been protecting his friend's cubs in the month since his death. 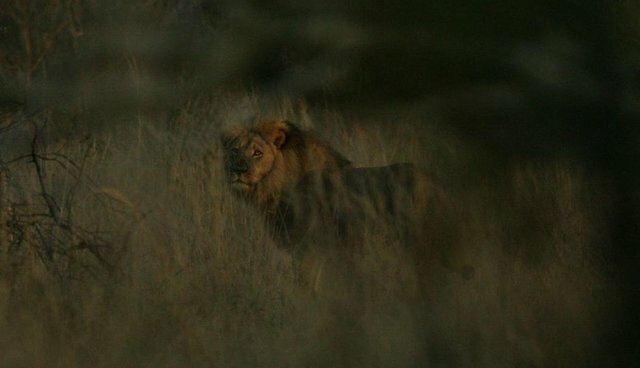 Cecil was killed early last month after a group of hunters lured him out of his protected home in Zimbabwe's Hwange National Park and shot him. He wasn't killed, so they spent two days tracking him before killing him, skinning him and beheading him. They also tried to destroy his tracking collar. The news sparked international outrage that forced Walter Palmer - the Minnesota dentist who admitted to killing him - into hiding. His hunting guide, Theo Bronkhurst, is currently facing charges in Zimbabwe. Of course, with the world following the fate of Cecil's pride so closely, many are relieved that Jericho is alive - his death would have been a serious blow to a pride that's lost so much. But another lion still died. Tourist hunters kill 600 lions every year - which means that, in the month since Cecil died, another 50 lions could have been killed in a similar manner. None of them had names - or received international press. If you'd like to help save lions like them, you can click here to find out how.